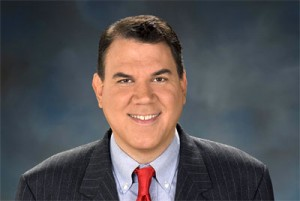 In a move of reminiscent of a Saturday Night Live skit, Democratic Congressman Alan Grayson (Florida) spoke on the floor of the House of Representatives claiming Republicans had devised an alternate plan for overhauling the American healthcare system: Die Quickly. This moron (it’s not my opinion, it’s fact) who always looks as though he hasn’t bathed in weeks and always looks like he slept in his suit, claims that Republicans hope that American citizens will die quickly. Presumably, because it will cost less. Here’s where it gets good: Congressman Grayson, clearly a man with little class and even less intelligence has the full support of the Obama White House. In a show of support, our Dear Leader referred to Grayson as “an outstanding member of Congress.” Well, that’s certainly comforting. Obama has reassured us. I’m not certain of it, but I’d wager that Grayson is a member of some whack job group that believes September 11 was an inside job or that we never really flew to the moon. Somebody check this. This isn’t the first time the White House political operation has given an assist to Grayson’s re-election prospects. He was the first freshman Democrat in the House to receive political help from Vice President Joe Biden, who came down to Orlando to headline a fundraiser for him in August. During the event, the vice president told Grayson: “We owe you one buddy…This is a guy who doesn’t back away from a fight, and doesn’t back down from what he believes in." That much is clear, and even as Grayson continues to draw national controversy for his provocative comments, it doesn’t look like the administration is making any effort to distance themselves from him. As a personal note from me to the voters in Grayson’s district: You folks really should be ashamed of yourselves. Face it, when you voted for Obama, he was actually a good liar, while Grayson is a bumbling fool.